Please enter our Strange Fire drawing today on the Sola Sisters Facebook wall! 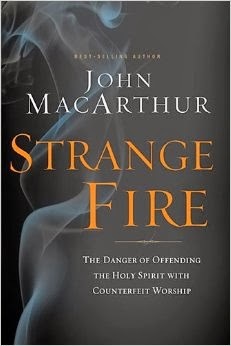 We will be giving away one copy of John MacArthur's newest book, Strange Fire (release date: Nov 12). This book corresponds to the Strange Fire conference currently being livestreamed from Grace Community Church in California.